JS++ now supports the popular Ace editor library. 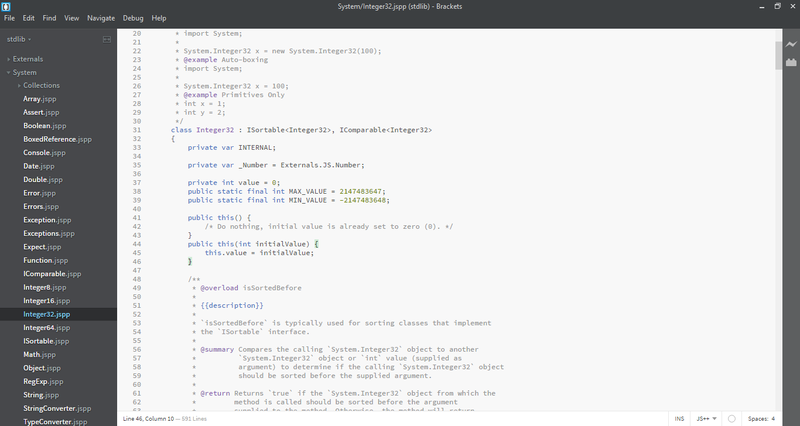 The Ace editor is an open-source text editor plugin that is used as the underlying editor for Cloud9 IDE and is the successor to the Mozilla Bespin project. Ace can be used for embedding JS++ snippets into web pages. 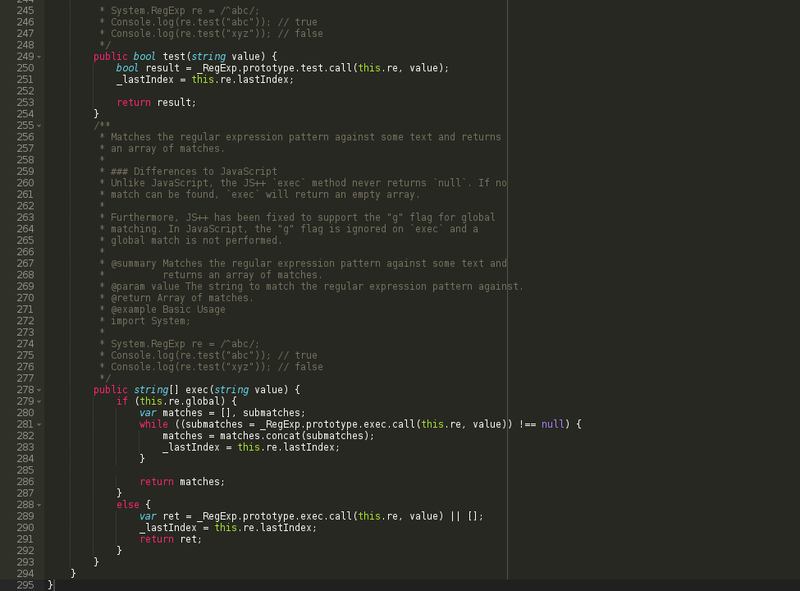 It can also be used to develop tooling for JS++ such as text editors and IDEs. 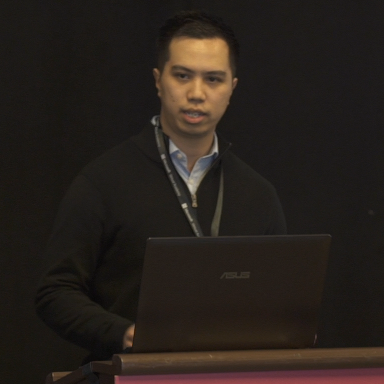 Ace is fully web-based so it can be used for developing cloud editing tools. You can download the JS++ Ace integration from our GitHub. We are happy to announce JS++ integration with Visual Studio Code, the free cross-platform code editor from Microsoft. Today makes for a double announcement as we simultaneously also announced JS++ integration with Adobe Brackets today. Onux is committed to providing maximum editor and IDE integration for JS++, and today’s double announcement reinforces our commitment. The Visual Studio Code integration for JS++ will be available with the next version, v.0.4.2. Early birds can download the Visual Studio Code plugin from our GitHub repository. 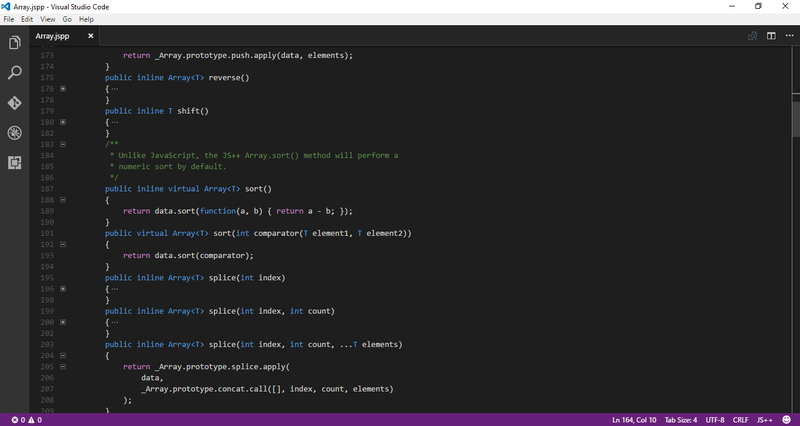 Currently, only syntax highlighting is supported for Visual Studio Code. We will continue to develop the Visual Studio Code plugin to support debugging, IntelliSense, symbol navigation, and so on as part of our continued commitment to maximum editor and IDE integration. We are happy to announce JS++ integration with Brackets, the free text editor for web development from Adobe. The JS++ plugin for Adobe Brackets supports full syntax highlighting and code folding. The plugin can be downloaded from our GitHub repository. The Adobe Brackets plugin will be distributed with the next version of JS++ (v.0.4.2), which should be coming in the next few weeks. Onux is committed to maximum editor and IDE integration, as we have consistently demonstrated by delivering integrations for the most popular code editors. 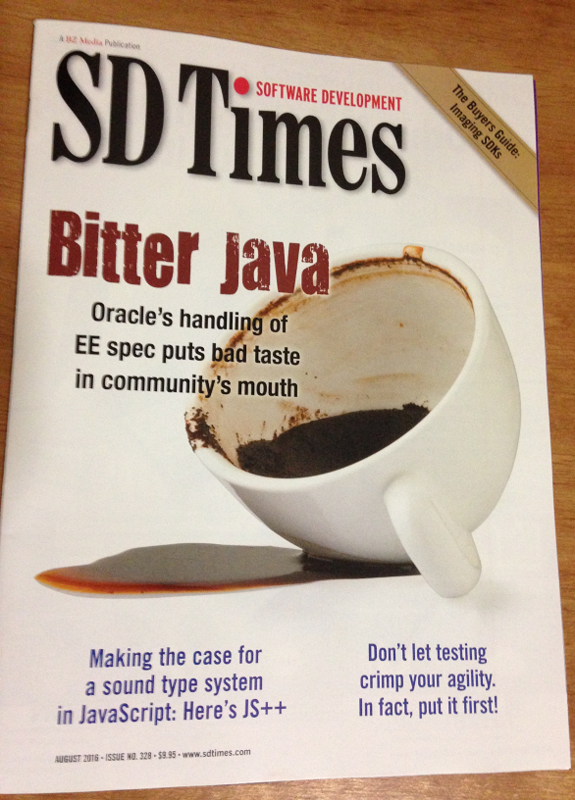 JS++ has been featured on the front page of SD (Software Development) Times Magazine, August 2016 edition. You can read the full article online on the SD Times website. The article has consistently been trending on SD Times for over one month (and is still trending as of the time of this writing). We have finished Emacs syntax highlighting for JS++ in our Emacs plugin. Please note that only syntax highlighting is available for Emacs at this time. In the future, we will be including other extras such as code folding and indentation logic in the Emacs plugin. The Emacs plugin will be distributed with the next version of JS++ (v.0.4.2) which is due next month in October. The Emacs plugin can also be downloaded from the GitHub repository.